You may have noticed I haven't been around much. Sporadic status updates on Facebook and nothing here on the blog since the beginning of the month. Well, I've been sick. 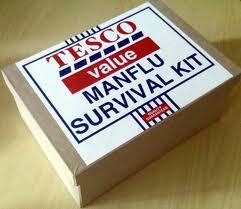 It started out as the flu, you know that dreaded man-flu thingy? Scratchy throat, cough, runny nose? Feels like death. Well, it quickly developed into something far more serious. I spent close to three weeks in bed barely able to lift my head from the pillow. And I lost my hearing. Drove Mrs D nuts because she had to yell at me to be heard, sometimes two or three times before I understood what she was saying. This wasn't always a bad thing but don't let Mrs D know that. As things got worse Mrs D too me to a clinic who advised taking me to the hospital, all against my wishes, of course. I just wanted to roll over and die. There they did some blood work, confirmed I had the flu, kept me for about five hours and sent me home. But then the fun began. The blood work showed some sort of bug in my blood so I should come back to emergency and be admitted. As they examined me they diagnosed me with pneumonia. Oh, great. I had to wait overnight in emergency until they could find me a room and then I spent the next week in the hospital. IVs, blood tests, vitals...lots of fun. And when they weighed me? I'd lost close 20 pounds. Of course everyone at the hospital had to shout at me because I could hardly hear them. I felt like I was about 80 and had forgotten to turn on my hearing-aid. If I was a lesser man I might develop a complex: "Why is everyone yelling at me?" Indeed on occasion I found myself yelling back and then catching myself, thinking: "hey, why am I yelling at them?" One other thing about the hospital. If I hear the questions "do you have any pain?" and "when was your last bowel movement?" I'm gonna punch someone in the face. But kudos to the doctors and nurses at the hospital who took great care of me, pumped me with drugs and antibiotics and got me better. While it's not gone, I've seen the worst of the pneumonia now and I still need antibiotics for the blood disorder but that's as an outpatient...twice-a-day trips to the hospital. I think I'm on the mend. I'm home. And no one asks me when my last bowel movement was. Wow, wish I'd known about this! Dear God, Dufus! This is awful! Scary stuff! I'm so sorry you went through it. And I really hope you are going to be a lot better really fast. I've never gotten a flu shot, and I should have. Next year. This year, I'm not leaving the house or letting anyone touch or breathe on me until April which should keep me safe from the flu. 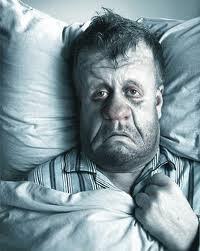 Pneumonia is no joking matter. Thank goodness you are on the mend. Hope you are feeling all the way better real soon. I'm just picturing though, the guys sitting around, watching the game, having a beer. When the topic of conversation becomes, so when's the last time you took a dump? It was a nasty three weeks, believe me. I always get a flu shot particularly due to my crummy immune system problems associated with my multiple myeloma. And last year I got a pneumonia shot which is supposed to be good for 10 years. I'm not so sure about the efficacy of these things now. I think the question might come up if a couple of the guys farted. You know I must be really sick when I don't watch football. I missed the entire NFL post-season. I had to read about my Packers going down to defeat. I had wondered and glad to know you are on the mend. Sounds like a rough few weeks. WHEN WAS YOUR LAST BOWEL MOVEMENT? DO YOU HAVE ANY PAIN? ANYWHERE? IN YOUR BOWELS? ARE THEY MOVING? Get back up to par, my man, and feel well! Can you imagine 50 people a day -- I said 50 people a day -- walking in and singing a line from John's Bowel and walking out? Friends, they may think it's a movement. And that's what is, the John's Bowel Movement. And all you have to do to join in is sing the next time the chorus comes around on the guitar. Oh, poor you. That's a good assessment. But you forgot owner who thinks he's a general manager. Oh I don't want the VV. I'm glad I avoided that. I'm getting there, Babs. How about you these days? Thanks Cheryl, I'm feeling much better than a couple of weeks ago, that's for sure. YESTERDAY! NO, DAMMIT! NO! NO! YES! I'm getting there, LM. Not 100% yet but better. I'm glad you're feeling better, my friend. Take care of yourself. The Internet just isn't the same without you. I'm doing really well, thanks. Three more weeks and I am officially back to normal - whatever that is. wow. scary stuff. I'm glad you included the details. They are important to those of us praying to God we are passed over this year. Ha, yeah, if it strikes now you'll know what to expect: people will keep asking you if you've had a bowel movement and what consistency your stool was! Ah, that's good to hear. And normal's a good thing. For your immune system, take 50,000 i.u. of D3 for three days and then go to 5,000 - 10,000. Also, take 2 to 5 doses of Liposomal vitamin C daily. You can make this yourself with vitamin C crystals and Lecithin granules and an ultrasonic cleaner. Look these up on the net, and you'll be glad you did for your recover. My immune system problem relates to my cancer not the flu so it won't be changing anytime soon. Already taking D, E and a multivitamin (and a list of medications a mile long) though. Thanks for the advice. Oh no, dufus! I'm so glad you're feeling a bit better now, but it sounds like you've had a truly horrible few weeks. You should've told me, I'd have brought you some of my chicken soup. January was certainly not my month, believe me. I could have done with that chicken soup. How thoughtful, Ziva. Oh John!! I am so sorry to hear you've been so sick! And you've lost 20 pounds? That's just AWFUL. I can totally relate to the nightmare it is, staying in the hospital. And for whatever reason it seems as though the SECOND you fall asleep, someone comes in and wakes you up to check your vitals, or take some blood. "One other thing about the hospital. If I hear the questions "do you have any pain?" and "when was your last bowel movement?" I'm gonna punch someone in the face." I am glad your back home and doing better. Actually, losing 20 pounds was good. I'm so svelte and attractive now! Just kidding. Although shaving the beard off may have accounted for 5 lbs. Finally! Major PC issues or internet issues. Everytime I come to yer blog it freezes up! No, I'm sorry to read about your health issues. And respiratory issues are the worst! Now I"m gonna try to read your other posts while my PC is still acting "good." Quirks, you're back. Good to see you again. Don't know why you're having problems with my blog. Although for a couple of months there I was having problems too...writing. But getting back in the groove.